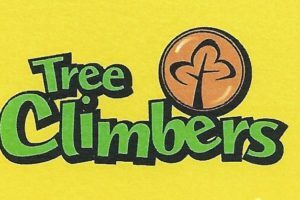 If you are the father (or grandfather or uncle or friend) of a Kindergarten or 1st grade boy, Tree Climbers is for you! This weekly adventure offers you the opportunity to spend productive, profitable time with your son. He gets time with you while learning about God and the world God made. The idea behind Tree Climbers is simple yet valuable: Fathers and their sons play a few games, enjoy a simple learning activity and hear a story that brings home the focus of the meeting. The important feature is relationships that develop between dads and their sons. Tree Climbers is for boys and FOR MEN! It’s an investment that will pay rich dividends for years to come. There are 2 books that offer 36 meeting plans that follow an outline. There are nine units, each with a specific emphasis on spiritual development through nature themes. A weekly theme ties the elements of the meeting together. They help the men and boys learn some aspect of God’s Word and the world He made. – Guide boys to the Lord– Guide boys to the Word of God– Guide boys to Christian maturity – Guide boys to the local church. An integral part of Stockade is camp. CSB is affiliated with a large number of Christian Boys Camps across the US and Canada. Each summer, boys have the opportunity to attend Father/Son camp and/or Stockade Camp with boys from other regions. These camps provide an excellent experience for our boys (and men) with activities including: archery, shooting sports, horseback riding, crafts, woodworking, swimming, boating, Bible studies, campfires and excellent food. Our nearest camp is Camp Nathanael in Mn. 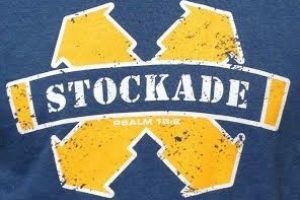 (see: www.campnathanael.com) If you are interested in a scouting experience with a Christian focus – STOCKADE is the answer. 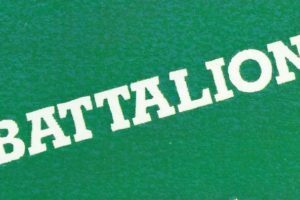 Battalion is a discipleship ministry in which Christian men build personal relationships with teen guys and mentor them to be effective Christian leaders. Guided by adult men these 11-18 year-old young men (grades 6-12) are not simply shown how to lead but are the ones leading the program and events week to week. The young men in Battalion share experiences in peer group leadership through weekly meetings, the achievement program, service projects and outings, helping them to become leaders by leading. What can you expect? Relational based Fun, Action driven discipleship, Integrated Christian service, Men model godly manhood, mentor future leaders, and Hands on leadership experience for young men. Battalion meets Monday nights from 6:30 to 8pm at Bethesda Lutheran Brethren Church on the corner of State Street and Hamilton.